When people look at copier leases they usually only pay attention to the beginning and middle of their leases. They check to make sure that they don’t incur costs when they have their copier, but don’t look down the road at what they need to pay attention to at the end of the lease. One of the most overlooked parts of the end of a copier lease is copier shipping. Copier shipping is used by many copier leasing companies to force people to do things they may otherwise not have done. They know that many people do not pay attention to the costs associated with copier shipping, so they can leverage this against you. What we actually mean by copier shipping is the way that you plan on returning your copier to the leasing company. 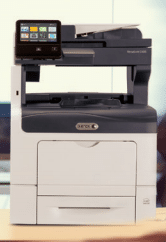 Many people think that their copier leasing company is just going to simply come and grab their copier when their lease is up. This is not the case. Shipping a copier can cost you hundreds of dollars. For some companies that few hundred dollars can make a big difference. If you plan ahead then you might be able to find a good deal, but it’s rare that you find a cheap shipping offer at the last minute. This is where the leasing companies try and use it against you. They are much more capable of getting deals with shipping companies than you are because they already work together. Your leasing company may offer to take the burden of the shipping costs if you sign another lease with them. It saves you money, but it also leaves you stuck with a sneaky copier leasing agency. Always make sure you look through the entirety of your copier lease before signing anything. Little things like copier shipping can come back to bite you if you are not careful.